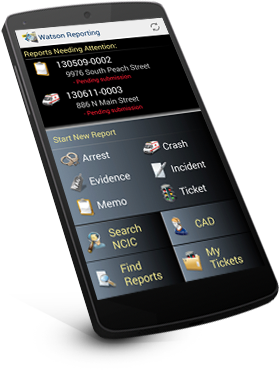 Watson - a mobile, fully-compliant, police reporting software for Windows and Android that's powerful, simple, and affordable. DataDriven is the provider of mobile law enforcement software, leading the industry in multi-platform field reporting for desktops, laptops, MDTs, tablets, and smartphones. DataDriven's Watson Field Reporting creates quality, validated reports in minimal time while providing critical information to the police officer. Because of Watson Field Reporting's power and flexibility, its success in the field is unmatched among mobile law enforcement software providers. Once an officer experiences Watson, they will never want to work without it. Watson Incident is the best field-reporting application I have seen. Its artificial intelligence and ease of use help our deputies create reports that would otherwise be cumbersome and time-consuming. DataDriven’s product is critical to our real-time crime center. Officers love the Watson software. It improves their safety, helps get criminals off the street, eliminates thousands of hours of data entry, and streamlines our whole reporting process. It’s a major advancement in policing. We would not want to go back. Data Driven meets the requirements of our organization where we need them the most - in the field, with a reporting application that is compliant with state mandates, administrative needs, and end user demands. Data Driven helps insure that our Police Department stays competitive in recruiting, cost savings, and time management. They are hands on and second to none with customer support. In today’s rapidly changing law enforcement environment, you can expect Data Driven to stay ahead of the curve for your agency. Having dealt with many software vendors over the last 15 years, I am amazed at the responsiveness and expertise of this company. DataDriven definitely has customer satisfaction as their top priority. The programmers at DataDriven are amazing, and constantly looking for new functionality to add to the program, making our officers digital lives much easier. DataDriven is second to none. 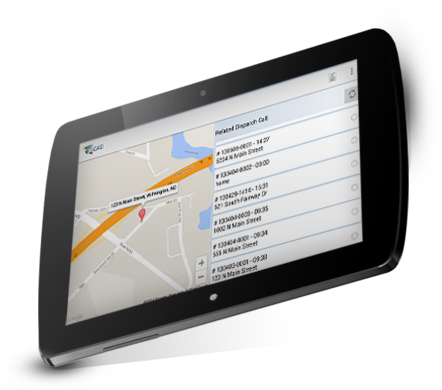 Watson Field Reporting for law enforcement is available for Windows, Windows Tablets, Android Smartphones, and Android Tablets. Watson is compliant with NIBRS, IBR, UCR, NCIC, NLETS, DOS, and DMV standards. © DataDriven, LLC. All rights reserved.